In addition to providing an exciting new “Fun Ship” cruise option from New Orleans, Carnival Triumph will introduce new seven-day eastern and exotic western Caribbean schedules to complement the line’s popular four- and five-day cruises to Mexico. The Carnival Triumph’s seven-day cruises will depart on Saturdays, with exotic western Caribbean voyages visiting Belize City; Isla Roatan, Honduras; and Cozumel; and eastern Caribbean cruises calling at Key West, Freeport and Nassau. Four-day cruises will depart Thursdays to Cozumel, while five-day cruises will depart Mondays and Saturdays to Cozumel and Progreso, Mexico. 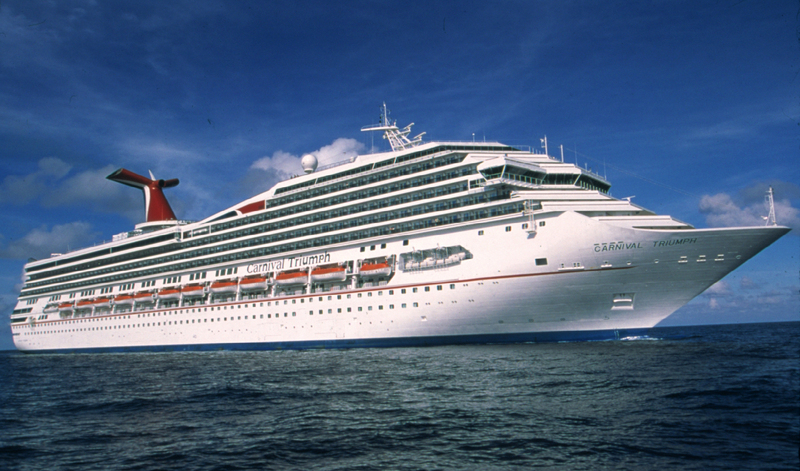 Carnival Triumph will operate 65 departures annually from New Orleans, carrying approximately 200,000 passengers – the most of any cruise line. Carnival Fantasy, which currently sails from New Orleans, will be deployed to Mobile, Ala., to operate four- and five-day cruises beginning in November 2009. “We’re very pleased to bring a newer, larger ship to New Orleans as well as expand our operations with new seven-day western Caribbean itineraries that will provide exciting new ‘Fun Ship’ vacation options,” said Terry Thornton, Carnival’s senior vice president of marketing planning. “In addition to serving as an excellent homeport for Carnival for nearly 15 years, New Orleans is a one-of-a-kind vacation destination and we’re delighted to continue our relationship with this wonderful city,” he added. Carnival Triumph will make its New Orleans debut with a special four-day cruise departing Tuesday, Nov. 10, then launch its new year-round four-, five- and seven-day schedule beginning with a weeklong voyage departing Saturday, Nov. 14, 2009. Four-day Carnival Triumph cruises departing Thursdays visit Cozumel, a 308-square-mile island offering world-class beaches, myriad watersports and a diversity of restaurants, shops and nightspots. Five-day cruises departing Mondays and Saturdays feature both Cozumel and Progreso, located along Mexico’s Yucatan peninsula offering access to centuries-old ruins and archeological sites, including Chitzen Itza, recently named one of Seven Wonders of the World. Seven-day exotic western Caribbean cruises departing Saturdays visit Belize, a tropical paradise where guests can visit Mayan ruins and enjoy myriad eco-tourism opportunities; and Isla Roatan, a breathtaking Honduran island distinguished by gorgeous white-sand beaches and lush countryside. A daylong visit to Cozumel rounds out this weeklong itinerary. The eastern Caribbean route will feature Key West, the southernmost city in the U.S. known for its excellent shopping and watersports and perpetually laid back atmosphere. The itinerary also includes two popular Bahamian ports – Freeport, the island chain’s second largest city offering stunning beaches and exciting golfing, shopping and dining opportunities; and Nassau, the bustling capital known for outstanding duty-free bargains, beautiful beaches and historical landmarks. The 102,000-ton Carnival Triumph offers a host of resort-style facilities and features: a 14,500-square-foot spa, a jogging track, ship-wide Wi-Fi access and cell phone service, a duty-free shopping mall, and three restaurants, including twin two-level main dining rooms with extensive menus and wine lists and a 1,200-seat casual eatery with full breakfast, lunch and dinner buffets and a 24-hour pizzeria. Also featured are 18 themed lounges and bars – including a wine bar, sports bar, piano bar and a multi-level theatre showcasing lavish revues – all with dramatic interiors inspired by the world’s most famous bodies of water. A golf program offering professional instruction and opportunities to play top Caribbean courses is available, as well. Family friendly amenities include programming for children in three age groups – “Camp Carnival” for youngsters, “Circle C” for 12- to 14-year olds, and “Club O2” for older teens – with activities and facilities dedicated to each. Additionally, Carnival Triumph offers a variety of accommodations, including a wide selection of balcony staterooms and suites. All staterooms feature the exclusive Carnival Comfort Bed sleep system with plush mattresses, luxurious duvets and high quality linens and pillows. Reservations are currently being accepted for the Carnival Triumph’s new four- to seven-day cruises from New Orleans. Special rates for third and fourth guests sailing in the same stateroom, along with round-trip air supplements from a variety of North American gateways and pre- and post-cruise land packages, are also available. Great news! 7 day out of NOLA! I am so excited. Can’t wait to book on the TRIUMPH. This is VERY good news. Being from Alabama, I am excited that the Fantasy will be departing from Mobile. The Holiday ship needed to be replaced a long time ago. Knowing that the Fantasy will be there will make me search for cruises leaving from Mobile in the future. Thanks again! IS THERE A GAMING CASINO ON BOARD THE TRIUMPH CRUISE SHIP. IT IS NOT MENTIONED ABOVE. It is about time. New Orleans is a crusing city. Thank you for bringing back a larger ship. This is great news! I have been on the Triumph and to the ports noted but I had to fly into Miami. I can drive to NO!! This is great news. Hopefully, I can get a family reunion cruise since NO is close to most of us. I appreciate Carnival understanding that NO is a great city and this location/port can be of great service to many. This will be great. A new ship out of New Orleans. So glad to be able to book a & day out of N. O. again. I’M VERY EXCITED THAT THE TRIUMPH IS COMING TO NOLA.I CAN’T WAIT TO BOOK MY CRUISE.IT’S ALSO GOOD THAT THE FANTASY WILL BE IN MOBILE,I HAVE CRUISED ON IT FIVE TIMES,I LIVE IN LONG BEACH,MS AND NOW THAT THE FANTASY WILL BE CLOSER TO THE COAST I WILL BE CRUISING EVEN MORE. Finally, an Eastern Caribbean trip out of New Orleans. i can’t wait to book my trip. Hopefully, you’ll have more dates posted for this cruise. I am so happy a carnival cruise to Bahamas will be departing from new Orleans, we have long needed anoter destination out of here, as I have taken the cozumel cruise twice! and am ready for a change, wish it was starting this year as I’d be on board! We are so happy to have the Triumph come to New Orleans. We missed having a 7 day cruise ship here. Now we won’t have to spend our money in other states & this will help the recovery of our tourism. Thanks a bunch, Carnival!! Wonderful news, I have been looking at booking on the New Dream but now that the Triumph will be cruising out of New oleans that is great! Carnival has hit another home run with this great ship with balcony cabins from New Orleans, great new ports, great new conbinations of 4,5 and 7 day cruises. Love it!